Raken Introduces Customized Daily Reports! We're happy to announce that you can now customize your contractor daily reports with Raken! 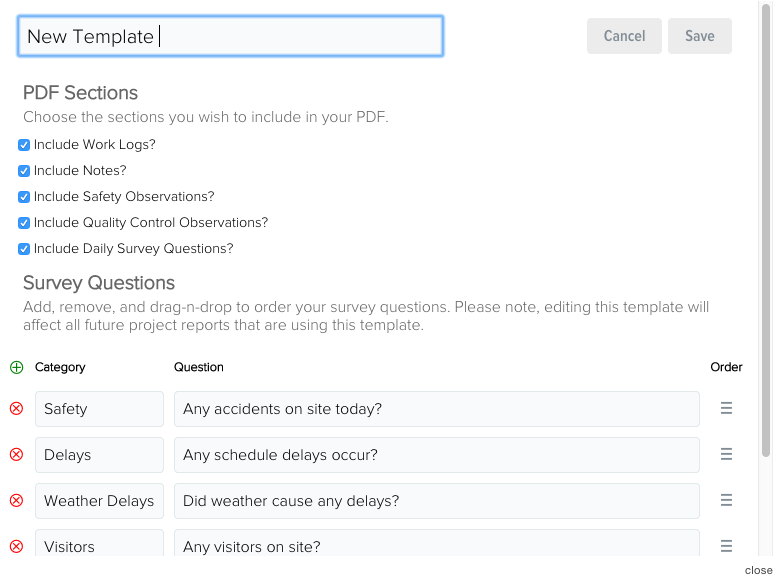 Along with the ability to customize the daily survey questions for each of your projects, Raken now allows you to customize which fields you'd like to display on your PDF report. 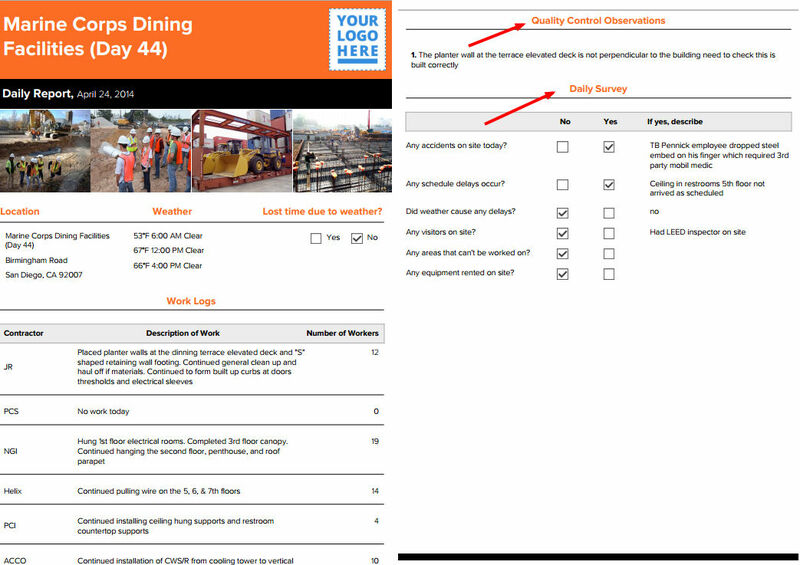 In Raken's daily reporting software, you can now include fields such as "Work Logs", "Notes", "Safety Observations", "Quality Control Observations" and "Daily Survey Questions" based on your needs for each project. To assign your customized template to a project, click "Projects", "Project Info" and update the "Project Template".